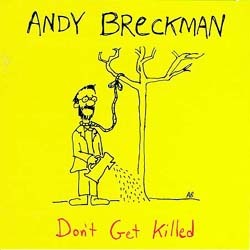 Andy Breckman "Don't Get Killed"
A former staff writer for David Letterman and "Saturday Night Live". Breckman was a regular on the New York folk circuit in the late '70s/early '80s. His songs are unique and hysterically twisted...ranging from the unforgettable, often-covered "Railroad Bill" to the New York anthem "Don't Get Killed".